This paper is a chapter from: ‘Migration, Squatting and Radical Autonomy‘ (Mudu P., Chattopadhyay S. eds), and is based on the author’s experience as researcher and activist within both the ‘We Are Here’ movement and the squatters movement in Amsterdam. Here in The Netherlands our existence is structurally denied. But this does not mean that we do not exist. We are here. We are living on the streets or in temporary shelters. We are living in a political and legal vacuum—a vacuum that can only be filled by the recognition of our situation and our needs. Our lives have been put on hold because we don’t have papers, but we refuse to have our existence denied any longer. We refuse to remain invisible. We refuse to remain victims. We demand a structural solution for anyone who is in our situation and for all others who might find themselves trapped in the same political and legal vacuum. We demand recognition of our existence. We demand our existence to be acknowledged in official policies and laws. We are here and we will remain here (We Are Here Manifesto). All over Western Europe groups of undocumented migrants are organizing themselves to resist and protest against the current migration regime and border system. In this chapter it will be argued that while the migration regime aims to push undocumented migrants into invisibility, to silence their voices, to tame their bodies and to let them live in a constant state of fear, this does not deprive migrants of their capacity to rebel and to struggle. For years, sewing the lips, hunger strikes, setting fire to one’s body have expressed acts of protest occurring daily both in foreign detention centres and on the streets of Europe. Most of these practices relate to one’s body: when every aspect of one’s life is criminalized, the only weapon undocumented migrants have left is their own body, and often, the power over their own death. However recently a new mode of protest started emerging in many Western European countries, including the Netherlands, Germany and Italy, namely collectively squatting unused buildings. This marks an important shift in the undocumented migrants’ modes of struggle, that goes from isolated acts of protest to a collective mode of resistance that affects the everyday lives of undocumented migrants. Indeed, in this chapter it will be argued that living in squatted buildings has been used by undocumented migrants as a tool of protest and to gain visibility, but also to open collective spaces where it becomes possible to organize their struggles in a systematic manner, to intervene in the way they are supposed to experience their everyday lives, and to take their basic rights in their own hands, thereby overcoming the structural denial of juridical rights. In the Netherlands, the “We Are Here” movement has been one of the first attempts of collective mobilisation by a group of undocumented migrants. The people involved in this recently formed movement come from a variety of countries and live in a juridical and political limbo. Their asylum requests have been rejected, but they are unwilling, unable, or not allowed to go back to their countries of origin. This is due to a number of reasons, ranging from bureaucratic procedures that do not allow them to access the refugee status, or international laws that prohibit the Netherlands from deporting people to specific countries where their lives would be in danger, or because the very countries of origin refuse to accept their return. In a political system where possessing legitimate identification papers is a basic condition for the exercise of freedom, every aspect of life of an undocumented migrant is considered illegal (Palidda 2008; Aas 2011). In this context, since the beginning of their mobilisation, the strategy of the “We Are Here” movement has been to occupy pieces of land or squat empty buildings in order to live together, construct networks of solidarity among migrants and organize a common struggle that would let them exit the stigma entailed by the juridical label of “illegal migrant”. The “We Are Here” movement started their campaign in September 2012, when a small group of undocumented migrants settled in the garden of a protestant church in Amsterdam. This was the beginning of a large mobilisation that attracted hundreds of undocumented migrants and asylum seekers from all over the Netherlands. In November 2012 the “We Are Here” group squatted a courtyard in Osdorp, a neighbourhood at the outskirts of Amsterdam West. This settlement attracted much support from civil society, and they became visible both in local and national media. After the eviction of this camp, they squatted several buildings in different parts of the city: an empty Church (Vluchtkerk), empty office spaces (Vluchtflat, Vluchtkantoor, Vluchtgebow, Vluchttoren), a government-owned building (Vluchtgarage), a former hospital and a school. In these spaces undocumented migrants have been creating the possibility of exercising their basic rights instead of simply waiting for their rights to be granted by the government. These squatted buildings have been used by undocumented migrants for housing, but also as social, cultural and political centres, where different groups of people can encounter and mobilise for further political action. Indeed, in the buildings squatted by the “We Are Here” group, several activities emerged: debates, music, dance, educational projects, legal information and assistance by activists with experience in migration law, medical aid, and the creation of networks of support. As undocumented migrants are criminalized in every space of European society, creating these social and political projects has been a step further in the struggle, as what is needed is not only a roof for surviving, not only basic human rights, but also the possibility of living a decent life, which includes the possibility of socialization, communication, and recreation. By taking action in their own hands, the “We Are Here” group have been able to go beyond the social and political attitudes that criminalize them and that aim to turn undocumented migrants into fearful and passive subjects. Indeed, in the Netherlands during the past decades, the situation of undocumented migrants has increasingly been framed as a “problem” that needs to be fought through stricter surveillance and security techniques. In 1993 it became compulsory to carry identification documents. In 1998 access to social services became dependent on a residence status, and it became compulsory for the migrant to collaborate with her own identification and deportation (i.e., the Law on Identification and Benefit Entitlement Act). In 2010 it became clear that the Dutch government intended to address the so-called “migration problem” by means of criminal law. Since then, undocumented migrants found on the Dutch territory are handed a notification to leave the Netherlands within 48 hours. Violating this ban would entail imprisonment in foreign detention centres for a term of up to six months. Foreign detention centres are not supposed to have punitive goals, rather they were built with the scope of identification purposes. However, in the Netherlands, as in most of the other European countries, the way they are organized, the way they function and the rules that govern them make them resemble a prison. Hence, undocumented migrants are literally treated as criminals. However, contrary to the regular prison system, the inmates of foreign detention centres have no access to the juridical system: there is no court case nor procedure to establish the duration of the “imprisonment”. People are held until further notice, which can be days, weeks, or months. Information about their legal procedure and status is often in languages that they do not understand. Contact with the outside is forbidden, and visitors are allowed under very restrictive circumstances. The treatment is austere, the rooms are very often over-populated, and the tendency for suicide, self-lesionism, panic attacks and other psychical problems is very high. Despite European regulations, not only adults, but also children are detained for long terms. Currently, while no-border movements are challenging the existence of these institutions, new centres are being build for detaining and deporting families with children, such as the foreign detention centre in Zeist. After detentions, undocumented migrants can either be deported or thrown back on the streets with the imperative to leave the country on their own initiative. Many will not leave, and will go back into the circle of “illegality”, invisibility and exploitability, under the threat of being found by the authorities and being detained once more. The legal production of illegal people is a political technique to obtain governable and exploitable subjects, outside of the government’s responsibility. Indeed, while the concept “illegal” in Western juridical systems tends to refer to specific acts or practices, the label of illegal migrant invests one’s whole life, body and subjectivity. This condition entails the complete exclusion from the system of rights, from the “right to have rights”, and from access to basic needs such as medical treatment, housing and education (Ruhs 2010). At the same time these subjects are governed through strict laws, deportation threats and confinement in foreign detention centers (Andrijasevic 2010). Thus, when a person, and not simply an action, is defined as illegal, each aspect of her life is subject to criminalization. This entails the production of fearful subjects, who are forced to hide and to be silent, pushed into invisibility and isolation, thereby often subject to abuse and exploitation (Anderson 2010). For instance, many undocumented migrants who manage to be employed without a contract do not have access to any labour rights and, if they protest against their working conditions, the employer often threatens to reveal his or her status to the immigration police. This is often the case of undocumented domestic workers. While the invisibility of domestic work makes it a safe way to work without legal status, this can also be turned against the workers, who find themselves in a double condition of invisibility and isolation (Triandafyllidou 2013). This mode of “illegalization” of migrants’ life makes ungovernable flows governable and productive, through the strict interrelation of coercion over their bodies, and “works at distance” on their subjectivities and on their living conditions. Thus, in Europe and in the Netherlands, both symbolic and physical borders are being reinforced not simply to exclude and reject people, but to create the conditions for government exploitation of migrants lives. In the current critical debate around migration, borders are often defined as “a tool of exclusion” that aim to “demarcate a coherent inside from a chaotic outside” (Rajaram and Grundy-Warr, 2007), and Europe is defined as a fortress (Geddes, 2001). However, borders are not walls. Concepts such as “exclusion” and “fortress” allude to a clear cut between inside and outside that runs the danger of missing the complexity of border dynamics, and of obscuring the way borders work as tools not simply to exclude, but to control and govern the migration flows in a way that makes them productive for capital (Mezzadra and Neilson, 2013). Indeed, borders are not completely closed; migration is not blocked all together. Rather they have a certain porosity, where flows of migrants can transit, although by illegal means (Bigo, 2005). This is not simply due to a lack of the security apparatus, but it configures as a violent technique to channel and regulate the migration flows and to govern the life of the undocumented once the border is crossed, by keeping them in a condition of illegality, precariety and exploitability (Anderson 2010). Therefore, in the current neo-liberal Europe, the struggles around borders and migration regimes work as zones of visibility of the relations of power that circulate around citizenship and rights, and where the relation between coercive modes of power, disciplinary power and biopower find their higher intensity (Mezzadra and Neilson 2013). In this context, the political goal of the “We Are Here” movement is to protest this structural denial of basic rights, to exit the loop of invisibility, and to challenge their criminalization by state and european politics: they aim to place their conditions with which they are confronted every day in the political agenda, to reformulate migration policies to grant full access to basic rights to all undocumented migrants. The name of the movement “We Are Here” explicitly addresses a struggle aimed at emerging from the circuits of invisibility and isolation, and at making their condition visible in the eyes of the government and of civil society. By creating these platforms for collective action, undocumented migrants also resist the way their everyday lives are governed by the migration regime. Indeed, these modes of collective organization had a strong effect on the subjectivities of those involved: from silent subjects, who need to hide and who used to live under conditions of constant fear, to active and powerful collectives, able to organize their own struggle, to share the joy of marching on the streets, of telling their stories without being afraid, and of opening free spaces of both contestation and socialisation. Squatting in the Netherlands used to be tolerated, but in 2010 it became illegal. Moreover, as argued above, the law is by definition against illegalized people, especially when they need to undertake criminalized actions such as squatting in order to survive. However, the balance between the law and the interests of the urban authorities have been shifting, according to the political agenda of the moment. While in certain cases the Mayor has brutally evicted the buildings, in other cases the authorities have decided not to intervene with the criminal law as they would do with regular squats, and they tried to negotiate and to find a temporary agreement between the owner and the occupants. Indeed the movement managed to attract political and social attention: under this pressure, negotiations worked as a tool to keep the movement under control, to keep an open channel of communication, and to de-escalate the conflict. The Mayor did not miss the chance of using negotiations to monitor and register the refugees involved. He required a list of the names and nationalities of the 159 migrants involved; such a list primarily served the interests of the state in identifying, registering, individualizing, and observing the refugees involved. Overall, while the “We Are Here” aim has been both to be together and to be visible, the government has responded by trying to break down the group, to separate them, to offer so-called “solutions” that would let the group divide and eventually dissolve. As a response to this first occupation, the Major of Amsterdam, Van der Laan, offered to move them to an asylum seeker camp for the winter. The group refused this offer because they did not want to be separated from each other, and because they wanted to continue protesting until they got a stable solution, not a temporary accommodation. As a consequence of failed negotiations, the Major issued the order evicting the Osdorp camp “because of safety issues”. The eviction took place on the early morning of December. A group of activists and supporters that were blocking the access to the gate of the yard were violently removed by the police, while all the migrants were arrested and the protest camp dismantled. The same night most of the migrants were released by the police, in the middle of nowhere, in the cold, without a place to go. Two days after the eviction of the camp, a large group of squatters supported the migrants in occupying an abandoned church in Amsterdam West (the so-called Vluchtkerk), where they managed to stay for more then 6 months due to an agreement with the owner. Since then, the collaboration between the “We Are Here” group and the squatters’ movement has become more intense, and multiple buildings have been squatted and evicted. 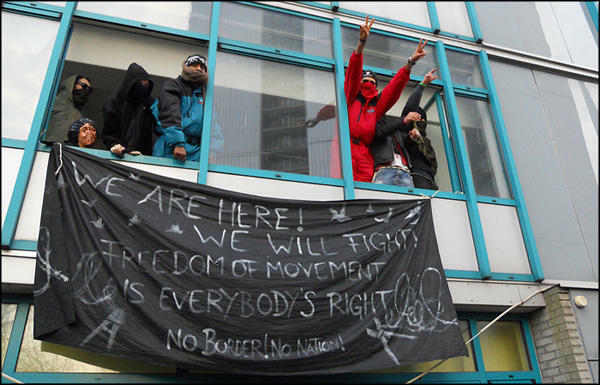 On May 31, 2013, the group, now composed of 180 migrants, squatted an empty office building owned by the housing corporation De Key: the Vluchtflat, on Jan Tooropstraat 29. During the legal defense of the building, the lawyer representing the movement, Rahul Uppal, argued that although squatting in the Netherlands has been a crime since 2010, the decision of evictions must be evaluated as proportionate to the interests of the squatters and the ones of the owners. The lawyer argued that because the group is composed of “uitgeprocedeerde asielzoekers”, who are not allowed to be in the Netherlands because their asylum requests were rejected but cannot be deported to their country, they are not allowed to access basic rights such as housing. Their only alternative to squatting is living on the streets or in detention centers, so it would be disproportionate to evict them. However, the Public Prosecutor argued that the fact that the squatters are “uitgeprocedeerde asielzoekers” is not relevant, because it is in the interest of the state to prevent unlawful squatting, and that the owner has the right to access their properties. The building was evicted on September 30. Also on this occasion, the minister of foreign affairs Teeven declared that the migrants could find shelter in the asylum seeker centre in Ter Apel, but the “We Are Here” group replied that this was not considered a solution. Indeed, it immediately became clear that as a response to their mobilization, politicians started framing and treating undocumented migrants not only as criminals but also as victims. The attitude brought forward discourses such as “we should do something about this, and who cares about what they want”. Approaching migrants as vulnerable victims dismisses their capacity to articulate their own opinions and thoughts, and leads to a paternalistic approach towards them that makes them dependent on charity or governmental projects. This way of approaching the issue differed from the framework that addresses undocumented migrants as a “security problem”, yet, it framed it as an “humanitarian emergency” and led to proposals for projects aimed at solving the perceived problem at an individual level: namely supporting migrants with the basic facilities for surviving and keeping them under the governmental control, rather than addressing the broader picture and challenging how the overall system of rights and privileges circulates through borders, documentation and citizenship. After refusing the offer by the Mayor, the “We Are Here” group squatted another office building in the heart of the city, just in front of the Rijks Museum: the so-called Vluchtkantoor, owned by the German pharmaceutical company Bayer. Christmas was approaching, the city was filling up with tourists, and the spectacle of the undocumented migrants’ struggle had to be placed in the shadows again. To avoid damaging the image of Amsterdam as the city of freedom and tolerance, the Mayor tried to vacate the building as quickly as possible. In order to avoid escalation, visible protest and bad publicity, he promised an alternative for the whole group: shelter for 6 months in an abandoned prison on the Havenstraat, on the condition that each undocumented migrant would cooperate with their own deportation to the country of origin. Most of the members of the movement were about to refuse the offer, as accommodation in a former prison with restricted access and strict monitoring of their activities was not considered an acceptable achievement in their struggle. However, confronted with the threat of being thrown on the streets in the middle of the winter, and of being immediately evicted if they squatted yet another building, the group eventually accepted the offer and voluntarily left the Vluchtkantoor. Only once the agreement was signed by all the members of the group, the Mayor made clear that the offer was valid only for those who were listed in the Spring 2013. However, since then, the composition of the movement had been subject to many variations. In this way, the Mayor finally managed to divide the group and their range of supporters: those on the list were sheltered in the former prison, and the other half were left on the streets. Once more it was December, and once more the authorities simply turned a blind eye to this part of the group and kept on congratulating themselves for providing a solution for the other half. The part of the group that stayed on the streets started regular protests in front of the municipality, in the streets, and in front of human rights associations. When the group occupied the entrance of the city hall, they were told that it was illegal and that they would be arrested. When they claimed they would camp in front of the municipality, they were told that this was also illegal and that they would be arrested. When they said they would sleep on the streets, they received the same answer. The government simply ignored the problem and waited for the supporters to find an alternative solution. Through the groups of supporters, the migrants managed to find temporary accomodation in churches and in already-existing squats. It was only after two weeks on the move that the group managed to squat a government-owned building in the outskirts of the city (Vluchtgarage), where they managed to stay for more than one year, although under terrible living conditions. The building was outside of the city, therefore quite hidden from media and public visibility: this made the occupation easier for urban authorities to tolerate. Moreover, the building was owned by the municipality, which left the local governments more space for negotiation. Therefore, the government has been using the squatters movement that supports undocumented migrants as an informal service, which has taken a heavy social and political burden off its shoulders. Urban authorities do not want groups of undocumented migrants on the streets, and do not want to provide them with shelter, as this would imply carrying a political burden that they need to avoid. Often, after the eviction of buildings squatted by undocumented migrants, the police encouraged the group to occupy a new place. Moreover, during a court case related to the lack of basic human rights for undocumented migrants, the judge argued that these groups have practical access to the right to a roof, and the squatters movement is providing them with a roof. Thus, while with one arm the urban authorities have been trying to demotivate the movement to squat by dividing the group, evicting their buildings, and using both physical and symbolic violence, with the other arm they have been encouraging this practice, as it configured as a practical solution to a problem they should be taking care of. While using the groups of supporters as an informal service, the government also criminalizes those who struggle together with undocumented migrants. In Europe, laws against smuggling, trafficking and organized crimes are being used to prosecute and convict those providing basic support to undocument migrants. In Austria, Germany, Italy, France and the Netherlands, supporting or helping “illegalized” migrants is considered a crime and is often prosecuted under the organied crime law. The latest example in the Netherlands is a new law effective since the 1st of March, 2014. This law puts an end to the right of domestic privacy: when the police, the immigration police (IND), the military or other state agencies suspect that so-called “illegal aliens” are present, then they are allowed to enter any house, search it, and arrest people without any warrant. The persons present at the address may also be body-searched, including the contents of bags and clothing, personal correspondence and any other personal data such as that carried in mobile phones. Furthermore, the police are allowed to ask for identification of people on the street that raise the “suspicion of illegality” (by appearance, or by speaking a foreign language, for example), and to arrest them. This is not simply a tool to criminalise migrants and supporters: in the Netherlands, as much as in the rest of Europe, the war on migration is being used as an excuse to suspend rights, to extend police powers, to surveil and to control any part of the population that is questioning and threatening to the ‘normal running of things’. The supporters of undocumented migrants are not simply criminalized by the law, but are also stigmatized by the discourses of politicians, who try to divide undocumented migrants and their supporters. In particular, Amsterdam’s mayor Van der Laan has tried to create a differentuation between migrants and what he has defined as “Dutch political activists”. In his statement, he reinforced racist discourses, implying that migrants are passive objects, victims or criminals, and as such not capable of political action. Van der Laan indeed stated that while he intends to “help the migrants within the boundaries of the law”, he is standing against so-called “Dutch political activists” whose aim is to change migration laws. According to the Mayor, so-called “Dutch political activists” have been using the undocumented migrants in order to pursue their own battle against the government, while the politicians are willing to help undocumented migrants within the boundaries of the law. This is clearly a paradox, as the only existing laws are aimed at criminalizing undocumented migrants. Creating such a clear cut between migrants and ‘political activists’ is not only a way to separate the groups, but also to depoliticise and victimise the group of migrants. All over Europe movements of migrants are organising themselves to protest the structural denial of basic rights, to gain visibility, and to challenge the criminalisation by state and European authorities. Thus, migrants are themselves political activists. Hence, there is not such a distinction between migrants and political activists. The only existing distinction is the one between documented and undocumented people, a division created by European laws, borders and xenophobic discourses. The differentiation between documented and undocumented is the heritage of colonial relations and the prerequisite for relations of exploitation. As such, it needs to be challenged not only by addressing the politics and the culture perpetuated through borders, but also by struggling in the fields of our everyday relations. From this perspective, documented activists and squatters have not simply been supporting the migrants’ struggles. Rather, they aim to resist the relations of power that produce the social-economic circumstances through which documented people’s rights and privileges circulate. However, these struggles are fought from different standpoints. On the one hand, for undocumented activists the political aim is to obtain “papers for all”, and to be included in the system of rights. This often leads to a mode of struggle that leads to negotiations with the government, legal battles, and political compromises. On the other hand, for activists that have the privilege of being documented and of having access to these rights, the aim is often to create a world with “no papers at all”, where one’s life is not defined and confined by the possession or lack of documents. These different strategies are determined by different perspectives, but they do not exclude one another. Rather, they need to go hand-in-hand to achieve both short-term solutions and long-term transformation to the migration regime and the border system. Marching on the streets, engaging in legal battles and squatting houses are not changing the situation, but these are little steps and tactics to open common spaces of contestation, autonomy and solidarity, where life and social relations are not defined by the possession of papers, and where both undocumented and documented activists can cooperate and overcome both criminalizing and victimizing attitudes. Aas, K. F. (2011) “‘Crimmigrant’bodies and bona fide travelers: Surveillance, citizenship and global governance”. 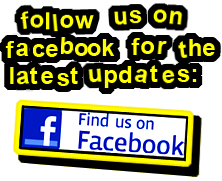 Theoretical criminology Vol 15 (3): 331-346. Andrijasevic, R. (2010) “From exception to excess: detention and deportations across the Mediterranean space”, In De Genova, N and Peutz, N. (ed.) The Deportation Regime: Sovereignty, Space, and the Freedom of Movement. pp. 147-165. Durham: Duke University Press. Anderson, B. (2010) “Migration, immigration controls and the fashioning of precarious workers”. Work, employment & society. Vol. 24 (2): 300-317. Bigo, D and Guild, E (eds) (2005) Controlling frontiers: free movement into and within Europe. Surrey: Ashgate Publishing. Geddes, A. (2001) “Immigration and European integration: towards fortress Europe?” Refugee Survey Quarterly. Vol 20 (2): 29-72. Mezzadra, S and Neilson, S. (2013) Border as Method, or, the Multiplication of Labor. Durham: Duke University Press. Palidda, S. (2008) Mobilità umane: introduzione alla sociologia delle migrazioni. Vol. 24. Cortina Raffaello. Rajaram, P. K. and Grundy-Warr, C (eds) (2007) Borderscapes: hidden geographies and politics at territory’s edge. Vol. 29. Minnesota: University of Minnesota Press. Ruhs, M. (ed). (2010) Who needs migrant workers? : labour shortages, immigration, and public policy. Oxford: Oxford University Press. Triandafyllidou, A. (ed.). (2013) Irregular migrant domestic workers in Europe: who cares?. Surrey: Ashgate Publishing.